I'm excited to be a new Porsche owner. I came about it via a circuitous route starting a search for a Miata. 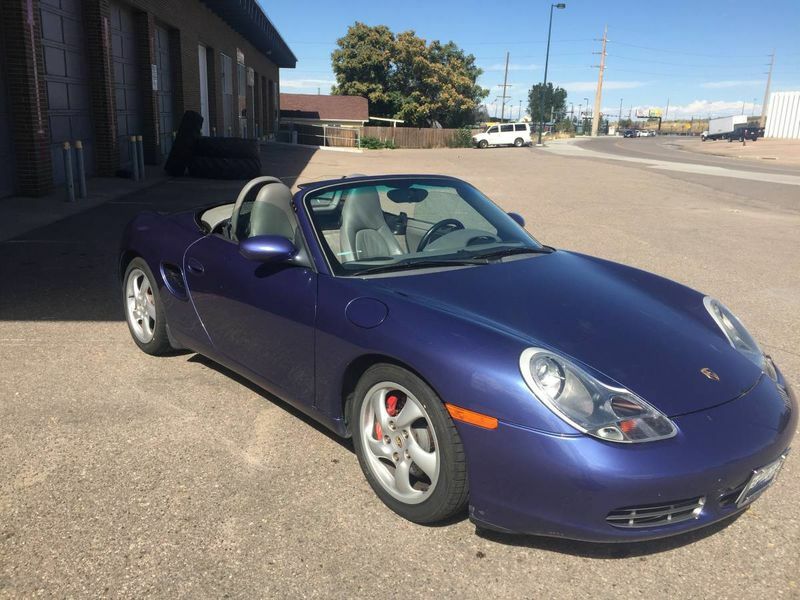 Couldn't really find one, but in my search ended up test driving a Boxster and instantly fell in love. Did lots of research and finally settled on my cobalt S. It needs some body work and some suspension work, but overall I'm loving it. I've found a ton of help on this site already and come here looking for answers all the time. But well done on aquiring one! I agree, that's an awesome color. She should clean up nice. Post pictures when your done with the body work. Looks like you could use some wheel cleaning or updates. I'm not too fond of those turbo twists myself, but others would kill for them. Best of luck with the car. We also purchased a Miata for my wife and we test drove a Boxster and fell in love with it as well. Its such a great driving machine. So now you are addicted!!! This is our support group! I have the same story. was set on a Miata until my wife talked me into test driving a Boxster. Needless to say, the search for a Miata ended at that moment. Enjoy the car! They are a blast to drive. Welcome to the community! Denver! Great place I am here if you have any forum questions. I also posted our tech articles below for any help you may need on it now or in the future. Enjoy your time here.